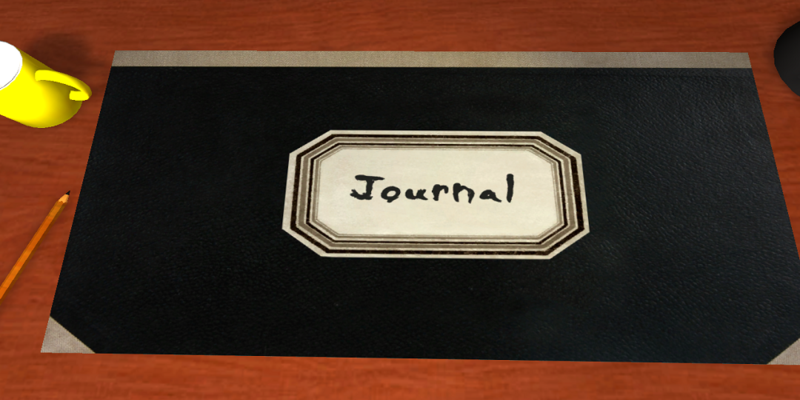 Journal is a game from two-person design team Melissa Royall and Richard Perrin. Whatever Journal may or may not be, obvious comparisons can and will be drawn to the visual novel genre. “It’s more interactive than [a visual novel],” Royall and Perrin assured me. Royall actually has experience making visual novels, which is why she is handling the art side of Journal. The art style can be described as a living sketchbook in which you, “The Girl,” interact with other people in The Girl’s life from her mother to her best friend. The premise of Journal goes like this: The Girl’s journal, which she writes in obsessively, has, one day, had all of its pages erased and it’s up to the player to decide how The Girl will remember these moments in her life through dialogue options during conversations with other characters. Journal will take place over the course of five days in The Girl’s life (only the first day was playable) and as I interacted with The Girl’s mother, her best friend, Elana, and the local park keeper, John, I got the sense that something was amiss. Something had happened in The Girl’s life that has been, quite literally, erased from her memory. The park keeper, whose company she enjoyed, never comes around the house anymore for reasons the adults won’t talk about and no matter how much I apologized to Elana for (apparently) framing her for breaking a window, I still lost that connection, too. People that were important in The Girl’s life were leaving her left and right, and I, the player, felt helpless to do anything. Of course, this can be read as an analogy for someone blocking out a particularly negative event in their life from memory as a coping mechanism. Royall says that while Perrin’s last game, Kairo, centered around hope, Journal is about loss and how to cope with that loss. Take from that what you will. Journal will be available on PC, Mac, Linux, iOS and Android this year.